Ultra-portables at 12%. What next? ABI reported last week that ultra-portable PCs accounted for 12% of all notebook shipments in 2013, way short of anything Intel wanted to achieve with the Ultrabook segment. It raises questions as we see marketing efforts for Ultrabooks fall. Is this leading-edge notebook segment ever going to be a big seller? If it has good profit margins does it need to be or are we underestimating the impact that the Ultrabook ‘project’ has had on the wider notebook market? 12 % of 183 million notebook shipments is 22 million units. That’s not bad for a segment that has unit profits that will exceed what the average notebook achieves. Not only is the average selling price higher but the margin is likely to be higher in terms of percentage. With Acer declaring losses related to Ultrabooks though, one has to be careful about predicting profit. The costs of changing production lines, suppliers and marketing may have been too much. ABI’s definition of ultra-portables includes Macbook Air sales which could be (based on some historical figures) around 4 million of the 22 million units. 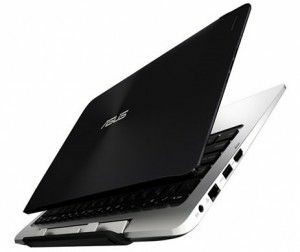 2-in-1 sales are also included and if that includes devices like the ASUS Transformer Book then the numbers for the pure Ultrabooks are even lower. What’s left after the Ultrabook project is a notebook industry that’s in better shape to co-exist with tablets, has better production lines and, in my opinion, has a cheaper way to make a portable and stylish notebook. Smaller sealed units that are more efficient and have more components on the SoC and smaller motherboards make a difference. We’re likely to see fans being removed from some devices in late 2014 and of course, there’s design flexibility like never before. We’ll continue to see leading-edge and ultra-portable notebooks in 2014 and beyond and we’ll continue to track them here. We’ll also be tracking the following key areas for advances in technology. Windows 8.2, dual-OS, Perceptual Computing, Realsense, Natural Language, Wireless Power, Wireless Display, WiGig, 2-in-1 and of course, Broadwell. Maybe sealed everything wasn’t most users’ cup of tea. At least, that’s the reason I have 0 official ultrabooks. The way I see it, paying a premium for a device with no user-replaceable parts is a bad thing. I’ll continue to buy non-ultrabooks (ie. notebooks and regular ultraportables). Yes sealed smacks too much of being bent on selling a new device asap. It has Advantages though and since one was meaning to offer an alternative to ipads and smart phones which sell like hot cakes and are sealed as well one was going the same route. Smartphones might be selling well because they’re either cheap or subsidized by carriers (at least in the US). The more mobile nature of smartphones also tend to make them more likely to get accidentally broken and repairing them may be too expensive or impossible which I assume is intended. As for tablets, many are also relatively cheap. There’s also talk of tablet sales slowing as the market saturates. People may not upgrade their tablets as often as their smartphones could be contributing to this as well. So the situation with tablets and notebooks may start leveling out. For the ultrabook, it’s nice that it encouraged notebook makers to focus on quality (ie. design, build and aesthetics) more but too bad that also made them cut corners in other areas (ie. sealed and non-user and/or non-easy replaceable components). I’ve had enough batteries lose too much capacity, drives failing, too expensive RAM from the OEM, etc. to waste money on a sealed notebook. That’s why I still buy “fat” ultra portables and have not jumped on ultrabooks. Perceptual computing is nice and all but it’ll probably be years before it’s useful to the average end user but I hope it continues to improve. I’m not a fan of wireless power delivery but I guess it does provide convenience at the cost of significant efficiency (ie. money). I’d rather see improvements in solar charging efficiency and integration as a better form of wireless charging. Wireless display isn’t that appealing to me since it interferes with WLAN. I like WiGig since it uses the 60 GHz band. That means it doesn’t interfere with your WLAN, wireless mouse, Bluetooth, etc. and won’t travel that far so neighbors won’t interfere with you. Of course, if you have multiple WiGig devices, it may be a problem. Rather than Core ultrabooks, it will be lower power ultra-portables that grow in this segment, including convertibles and tablets. Baytrail and future chips with even more power, that allow x86 programs to be installed, will suffice for the majority of buyers and be much cheaper. We may even see a rise in sales of desktops, for use as a main PC with an ultra-portable / tablet as an ‘on-the-go’ machine. The only current downside is the smaller storage options, although Lenovo have gone up to 128gb, so it’s changing. It will be very interesting to see what Microsoft do with a Surface Pro 3 and a Surface 3. Sorry Guys, I can’t help but laugh (in a sad sort of way) thinking about how lousily they handled the “Ultrabook” episode. The “touch” trend for mainstream consumers is already plain to see back in 2011, and even Win8 previews are available back then. So WHY on ***** earth did they not equate “ultrabook” to “touchscreens” and “new form factors” at launch?? Now, sure, the average consumer knows the term “Ultrabook”… but it means “It’s yet another Notebook with a fancy new name”! The moniker “Ultrabook” is already worthless. But if we’re talking about saving/reviving a highly-mobile work-friendly platform, new Form-factors should be the focus. – lighter Hybrids with the detach latch still accessible when closed, so you don’t have to open it before detaching. I can’t agree on the sliders. The best form factor is Yoga-style. The sliders don’t have wrist-support and not only it’ll hurt after a while, the keyboard is pretty cramped. If its a slider, it should be something like the Toshiba sliders, where you have lot more room for the keyboard. If they go with Vaio Duo like sliders, they better weigh like 1.8-2 lbs for something. Convertible has to be best of both worlds, not worst of both. Ultrabooks failed because they didn’t meet the original expectations. Acer failed even more because they made stupid decisions and refused to go Convertible, with their very portable S7, and making low quality units like the Acer Aspire W3, and functionally pointless S5. They only have one selling feature, which not many people will go for. Good keyboard and trackpad: Most have terrible trackpads and often not so good keyboards. That’s why most people are opting for $500 and less devices. The thing is, everyone wants the feature Intel touted back in 2011. Yet no single Ultrabook meets all that. $1000+ is a significant investment for a computer. You also have to make it practically flawless, with no obvious errors like touchscreen malfunction. I decided to postpone my purchase of a new laptop because nothing seemed to have what I wanted. I want a normal keyboard, Home, Page Down, Page Up and End as separate physical keys, a mousepad with physical mouse buttons, interchangeable battery and weight of 1,5kg or less including power adapter.